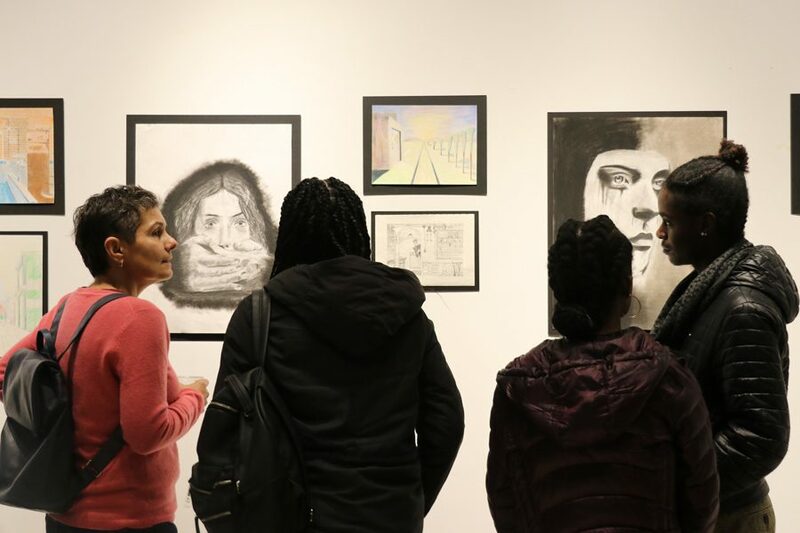 Parents and students attend the biannual art show. The One River School of Art + Design has been open for seven months and has over 100 students. The One River School of Art + Design has only been open for seven months, but it’s already helped over 100 aspiring artists explore the creative industry. One River provides weekly two-hour classes open to all ages, which focus on contemporary art and encourage students to create their own individual pieces. In order to show the school’s youngest students that art is accessible to them, assistant director Jessalyn Bertone said One River emphasizes contemporary art. The school has undergone an entire staff changeover as some members moved to other One River locations or to other art schools. Many of the instructors are working artists or graduate students from the School of the Art Institute of Chicago. The teachers guide students — often beginners — through projects that are four to six weeks long. All of the classes concentrate on 2D arts such as painting, drawing and digital design. Lisa Degliantoni, the school’s director, said that classes are offered to students from ages “four to 104” but the majority of artists are teenagers. Students usually hear about the school through word of mouth and peer-based reviews, Degliantoni said. The school also hosts free art workshops and speaks at community events to help get the word out. Bertone spearheads the marketing campaigns, relying on a grassroots approach through referral campaigns and social media. The school hosts a biannual art show to help students see their work displayed and to get them excited about the prospect of being artists. Through curating art for the gallery show and working to establish the school’s community, Director of Education Humberto Saldana said he hopes to develop a comfortable environment for students. Saldana also works to further improve the curriculum and support teachers, to make sure that the school can continue to grow and guide more artists in Evanston. As a creative town, Degliantoni hopes that the school can help further enhance the Evanston arts community.